Boston is a buzz this time of year with college students graduating to the next stage of life. Celebrate your student’s hard work with these sweet treats and desserts! 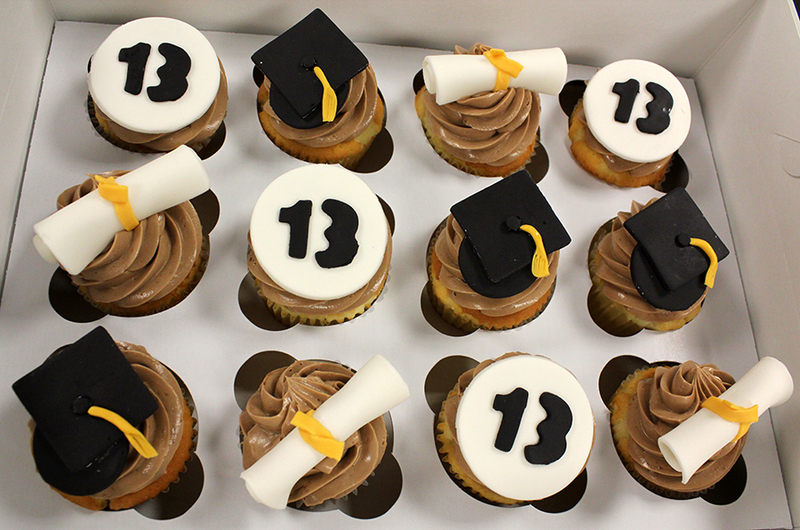 We can create custom graduation cupcakes, decorated sugar cookies and custom cakes for any graduate ranging from high school to college and even grad school. Here are some examples but feel free to contact us with your budget and design ideas and we’d be happy to create a custom cake just for you. 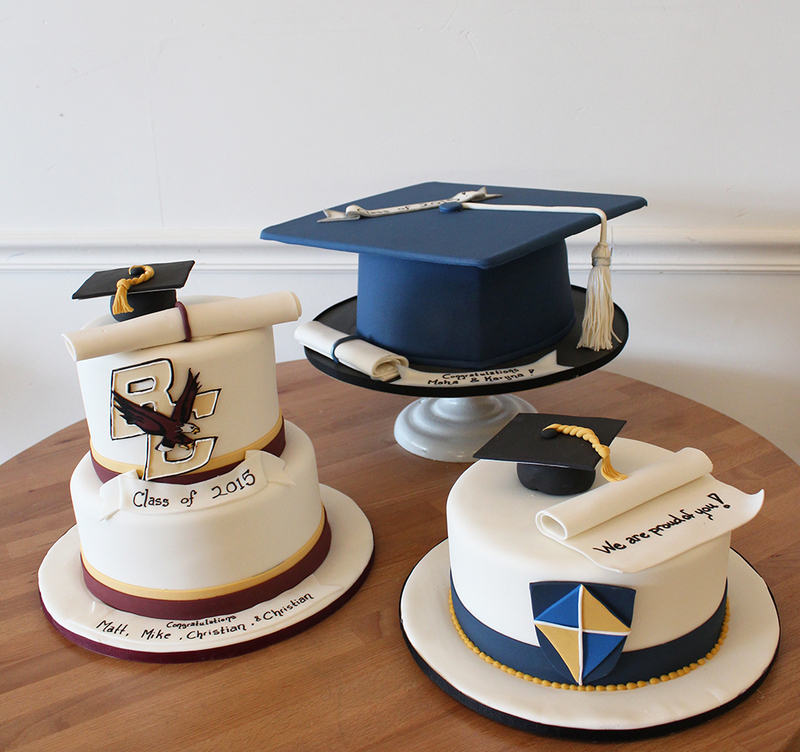 For even more cake inspiration go to our blogs search bar —> and type graduation to see similar cakes we’ve made in the past! 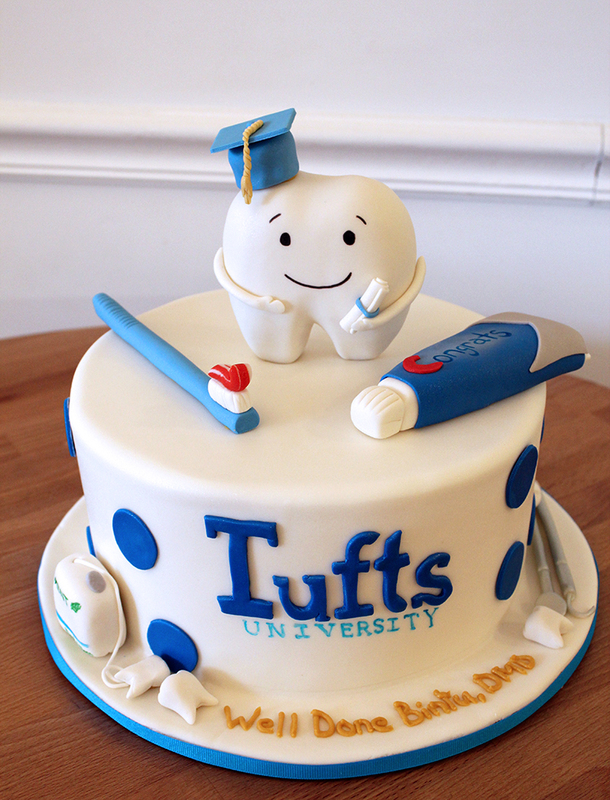 What better way to celebrate a dental school graduation than with a sweet tooth cake! 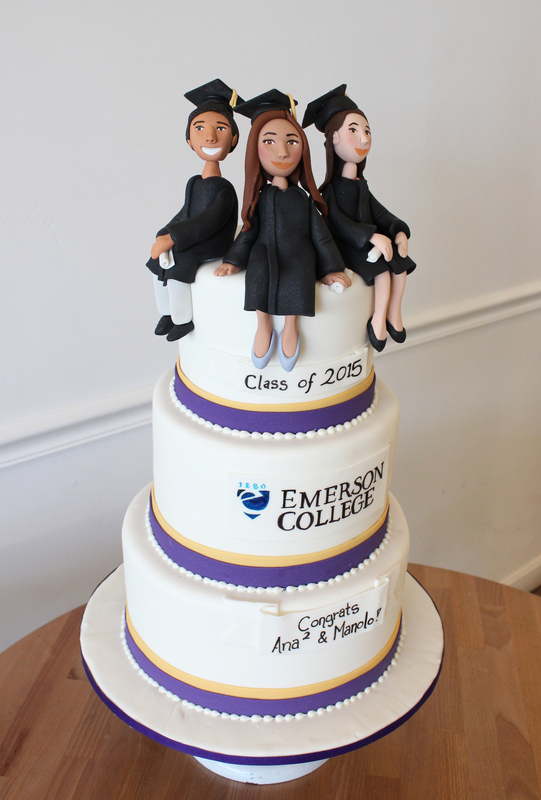 Here’s a classic cake with 3 friends who graduated college together. 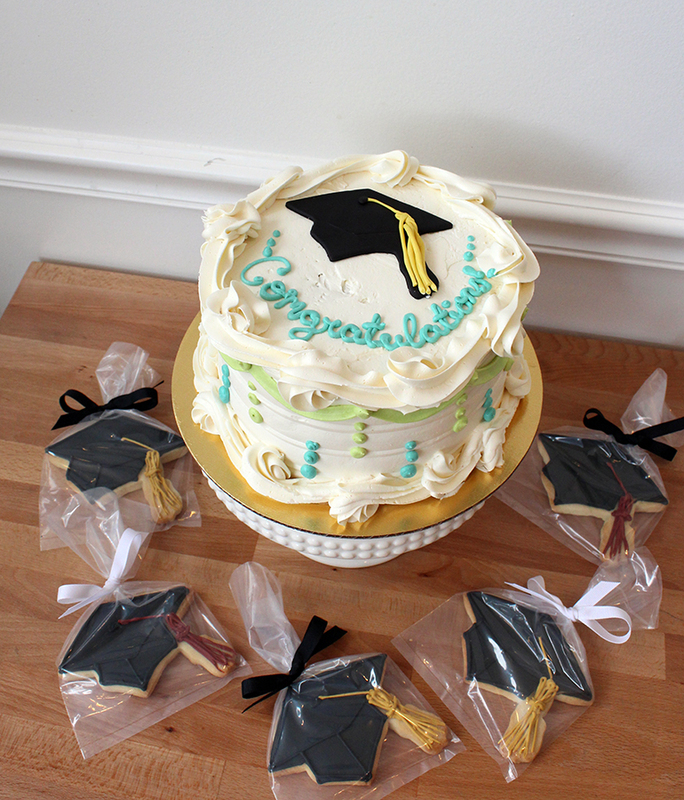 Graduation caps with edible tassels and diplomas are must especially when they are this delicious. 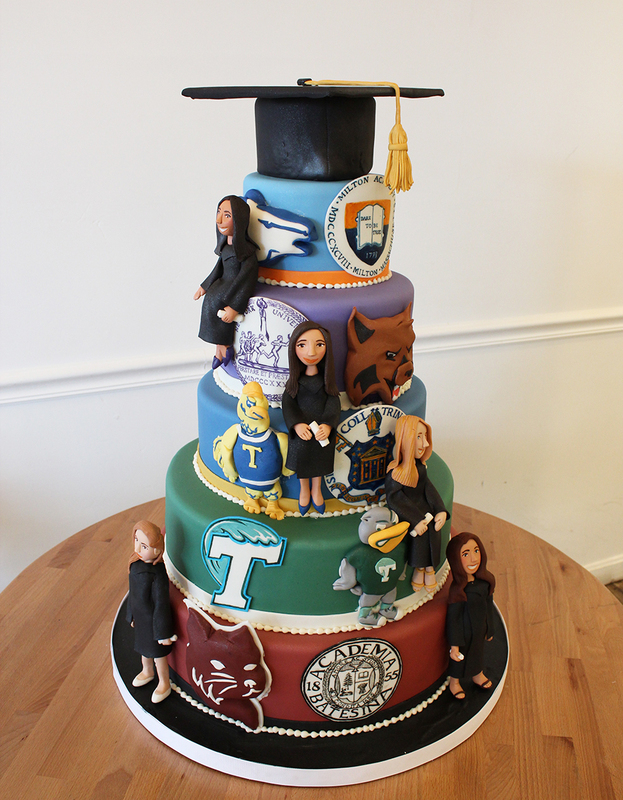 Send us your schools logo and colors and we can be sure to match the cake to your party. If simple is more your style we’ve got custom cupcakes, buttercream gourmet cakes and decorated sugar cookies for favors. This group of friends all celebrated at one big block party but wanted to represent each of their schools into a single cake design. All logos are hand painted and all figurines of graduates and mascots are hand sculpted out of fondant and gumpaste.